So the story behind the hat. I was back and forth for a few days about whether to just buy the hat or try making it myself. By the time I decided to just buy the $3 hat from Savers, they were sold out. Haha! Luckily, they're not too hard to make. 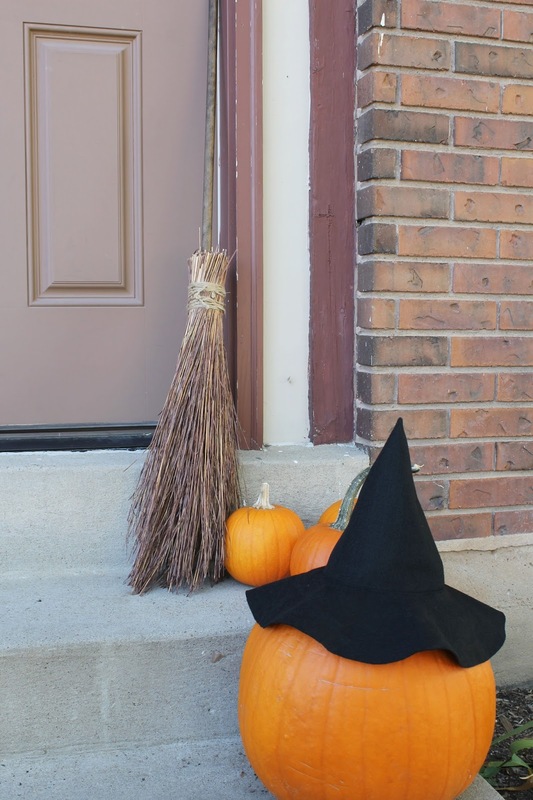 Oh, and if you wanna make the broomstick, buy a long stick (stain if you want/need) and some brown grass/branches from Hobby Lobby, tie them all together, and push the long stick down inside the top. Trim the sticks at the bottomto be the desired length, and tie around the sticks again. 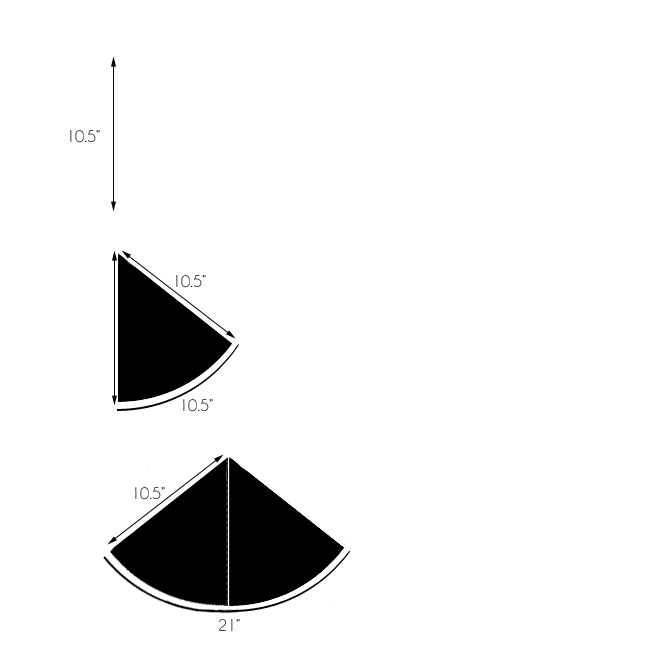 The tutorial for the Witches hat is a little more complex, just because of the math involved, but the concept is, you make a cone and a brim, and put them together. Black thread, machine, scissors, etc. Okay. Let's get started. Hope you remember some of your geometry! Measure around your subjects head to get the circumference. Find the radius by solving the equation for r. The example shows the measurements I used for my 3-year-old's head. Decide how tall you want the hat to be. I decided 9" was just right for my 3-year-old. Use the Pythagorean Theorem to solve for c (hat slant). Using your measurements, create a pattern for yourself on your pattern paper. 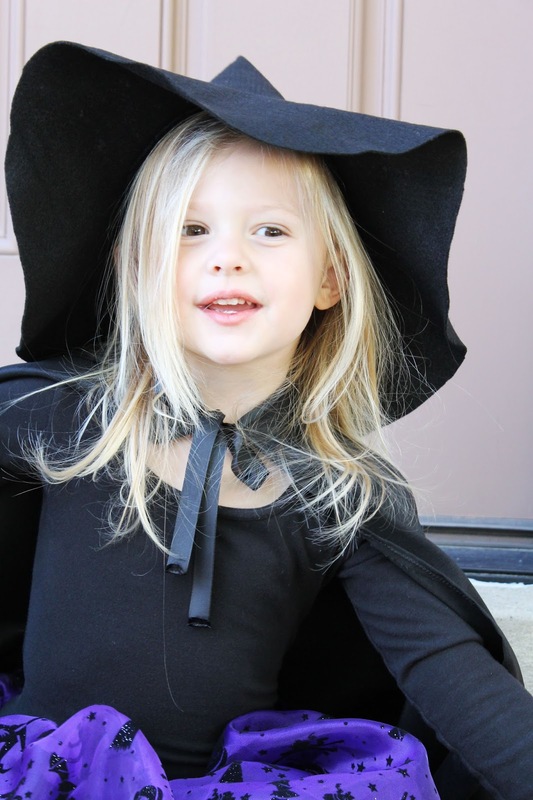 Start at the point of the hat and measure straight down the length of your hat slant plus 1". 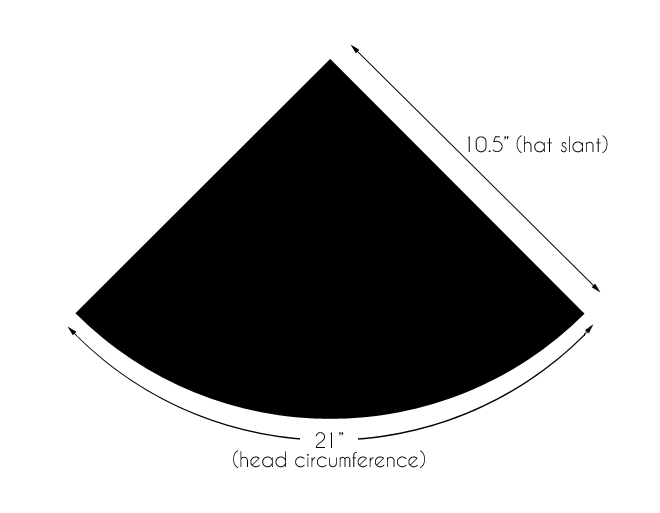 Create a curve from there outwards to half of the circumference (plus a half inch), staying true to your hat slant. Do the same on the other side. Now, subtract 0.5" inch from your head radius. Start at a center point on your pattern paper and draw a circle using the previous measurement (radius - 0.5") as your guide. 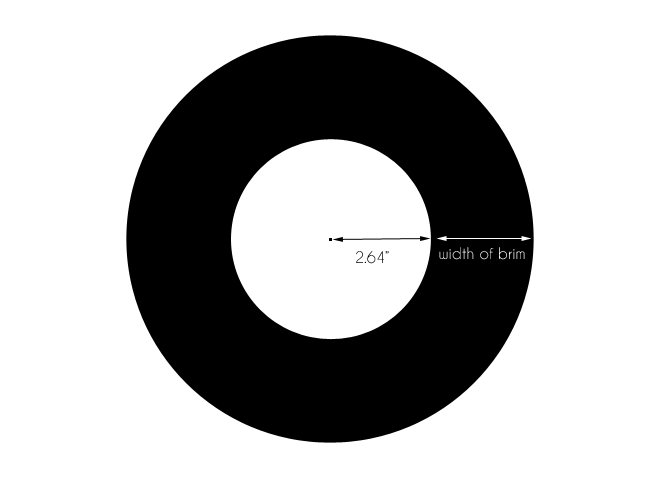 Decide how wide you want your brim to be and draw another circle around the first. I started out with a 6" brim and cut it down to the size I wanted at the very end. Pin your pattern pieces to your felt and cut them out. Pin the sides of the hat point together, right sides together to create the point of the hat. Sew with a straight stitch (1/2" seam allowance) from the point to the outside edge. Iron the seam open (on a low setting). Pin the hat point to the brim with right sides together. Sew with a straight stitch (1/2" seam allowance) to attach the two, then clip around the circle on the seam allowance, sew on a couple of ribbons if you want to be able to tie it under the chin, and you're done! First Gingersnaps of the Season!